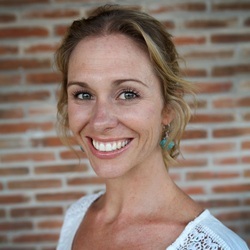 Guest Bio: Kate is naturopath and nutritionist, and she had her own clinical practice in Australia, but has since then started managing retreats in Thailand and seeing clients one-on-one around the world. She presents health workshops and seminars in Thailand and Australia, and eventually founded the Natural Instinct Healing Health Retreat, which runs fasting, detox, raw food, and yoga in Bali and Australia. Kate is here to talk to us about finding the right diet for your needs, to meet your health and weight goals. Katherine Lodge: Thank you for listening to Health Professional Radio. I’m Katherine, and today our guest is Kate Reardon. Kate graduated with two bachelor degrees; one in Health Science in Australia, specializing in naturopathy and nutritional medicine. Kate founded the Natural Instinct Healing Health Retreat, which is based in both Australia and Bali, and they run fasting, detox, raw food and yoga retreats. Kate is here to talk to us about finding the right diet for your needs, to meet your health and weight goals. Thanks for joining us today, Kate.